Minister of Education and Research Mailis Reps replied to the interpellation (No. 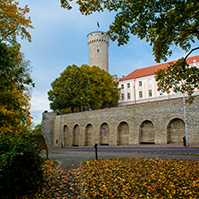 230) concerning the language requirements for headmasters of educational institutions or teachers in the Republic of Estonia, submitted on 4 May by Members of the Riigikogu Sven Sester, Tõnis Lukas, Andres Herkel, Avo Üprus, Mart Nutt and Indrek Raudne. The Minister said that the requirements of the Language Act were checked in public as well as in private sector. The supervision is also exercised over the employees’ language skills, records operation management and reporting in institutions, interpersonal relations and forwarding work-related information, as well as public information and the language of advertising, and the conformity of the official use of the language with the standards of the literary language, and conformity of foreign audiovisual works. The translation of international public events and the information to the Estonian consumer are also viewed. According to Minister’s explanations, the Language Inspectorate has for some years focussed on supervising the observance of the Language Act in the educational institutions of other languages. It is reflected in supervision proceedings carried out in this sphere as well as in the number of imposed penalties. Mrs. Reps said that the knowledge of the Estonian language of 1,235 employees of the public sector was checked last year. Among them 799 teachers of educational institutions of other languages, from whom 716 or 92 percent did not meet the requirements proceeding from the Language Act. In addition to language certificates, the conformity of actual skills of 399 employees with the data on the certificates was also checked. The language skills of 336 of them or 84.2 percent did not meet the requirements. In 2005 the language inspectors initiated 191 misdemeanour procedures in all, 143 from them in connection with the repeated non-compliance with the language requirements in the educational institutions of other languages. In 2005 the language inspectors imposed fines of EEK 68,020 in all, from which EEK 56,290 were for the non-compliance with the language requirements in the educational institutions of other languages, Minister explained the statistical review. “In case of the first inspection the fine generally will not be imposed, but a time period will be established during which a person must acquire the required language skills,” Mrs. Reps said. Depending on the office of an employee and his/her actual knowledge of the Estonian language, he/she will be allowed 6 months to a year for acquiring the language skills, the Minister of Education and Research explained. Mrs. Reps also replied to the interpellation (No. 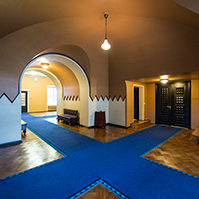 235) concerning religious studies in gymnasiums, submitted on 10 May by Members of the Riigikogu Avo Üprus, Trivimi Velliste, Olav Aarna and Peeter Tulviste. Chancellor of Justice Allar Jõks replied to the interpellation (No. 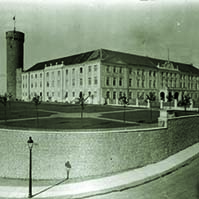 236) concerning religious studies in gymnasiums, submitted on 10 May by Members of the Riigikogu Avo Üprus, Trivimi Velliste, Olav Aarna and Peeter Tulviste, and to the interpellation (No. 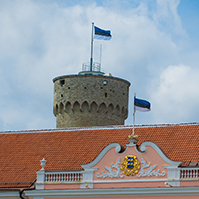 234) concerning the Bill on Amendments to the Constitution of the Republic of Estonia for Changing the Procedure of Election of the President of the Republic, submitted on 10 May by Member of the Riigikogu Toomas Alatalu. 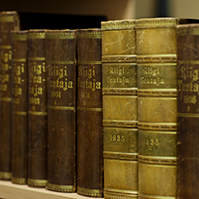 Minister of Internal Affairs Kalle Laanet replied to the interpellation (No.227) concerning the present situation in internal security, submitted on 3 May by Members of the Riigikogu Ivari Padar, Eiki Nestor, Kadi Pärnits, Katrin Saks, Jarno Laur, Jüri Tamm, Peeter Kreitzberg and Sven Mikser. 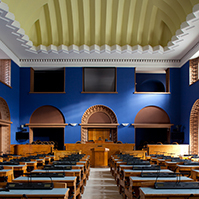 On the motion of the Constitutional Committee, the first reading of the Bill on the Repeal of § 7(3) of the Republic of Estonia Principles of Ownership Act (830 SE), initiated by the Res Publica Faction, was excluded from the agenda for the plenary working week.